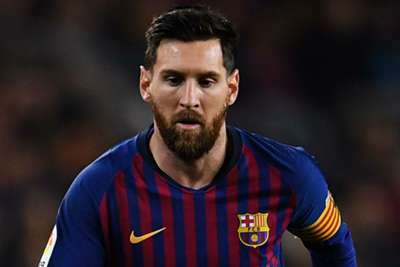 Lionel Messi and Antoine Griezmann are among the football stars in attendance for the second leg of the Copa Libertadores final. River Plate and Boca Juniors are facing off at Real Madrid's home, the Santiago Bernabeu, having drawn the first leg 2-2. The second leg was initially set to be played 15 days ago at River's El Monumental home but was postponed after a violent attack on Boca's team bus. A controversial relocation to Madrid, ordered by CONMEBOL, has enabled some of football's biggest names to attend Sunday's Superclasico second leg. Atletico Madrid boss Diego Simeone is at the game and their captain Diego Godin is also there, with Griezmann making his allegiances clear by donning Boca colours. Representing Juventus are Giorgio Chiellini, Leonardo Bonucci, Rodrigo Bentancur and Messi's fellow Argentina attacker Paulo Dybala. Barcelona left-back Jordi Alba and Bayern Munich playmaker James Rodriguez are among the other star attendees.